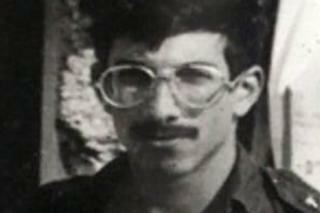 Russia's military helped Israel recover from Syria the remains of an Israeli soldier missing since the 1982 war in Lebanon, President Vladimir Putin says. The body of US-born tank commander Sergeant First Class Zachary Baumel was flown back to Israel a few days ago. He was one of three soldiers still listed as missing in action since the Battle of Sultan Yacoub. The Israeli military would only say on Wednesday that Sgt Baumel's remains had been repatriated via a third country. But during a meeting with Israeli Prime Minister Benjamin Netanyahu in Moscow on Thursday, Mr Putin was quoted by Russian media as saying: "Our soldiers together with Syrian partners established his resting place. We are very happy that they will be able to give him the necessary military honours at home." Mr Netanyahu responded by confirming that two years ago he had made a personal request to the Russian leader for help in the matter. "I want to thank you, my friend, for what you have done," he added. Russia is supporting forces loyal to Syria's government in the country's civil war. Israel and Syria have been in a state of war since 1948, and Israel has angered the Syrian government in recent years by conducting hundreds of air strikes in an attempt to thwart what it calls Iran's "military entrenchment" in Syria and shipments of Iranian weapons to Lebanese Hezbollah fighters. Five Israeli soldiers went missing in the Battle of Sultan Yacoub between Israeli and Syrian forces on 11 June 1982 in Lebanon's Bekaa Valley. Several years later, two of the captured soldiers were returned alive in prisoner exchanges with Syria and the allied Palestinian group, the Popular Front for the Liberation of Palestine-General Command. Sgt Baumel and two other sergeants - Yehuda Katz and Zvi Feldman - remained unaccounted for despite the efforts of the Israeli authorities to locate them. There have been many conflicting reports regarding the whereabouts and condition of the three men over the past 36 years. Some said they might have survived the fighting and been captured. But an Israeli newspaper reported last year that their bodies were believed to be buried in the Palestinian refugee camp of Yarmouk, in southern Damascus, which Syrian troops recaptured from Islamic State (IS) militants that May. Four months later, a Russian military spokesman said it had agreed to search for the remains of the missing soldiers "located at specific co-ordinates in Syria". "Today, we are lifting the uncertainty and closing a circle," Mr Netanyahu said in a televised statement on Wednesday. IDF chief of staff Lt Gen Aviv Kochavi said: "On the shoulders of IDF commanders, whom I lead, there is a great obligation to take care of every soldier who joins the IDF and swears allegiance to Israel. "This was a multi-year effort... during which various studies and operations were carried out to locate the missing persons. The culmination of the effort was a series of operations led by the intelligence branch, which led to the identification and return of Sgt Baumel." IDF spokesman Lt Col Jonathan Conricus said forensic tests might be able to establish whether Sgt Baumel had died in battle or under other circumstances.